The Houston Astros will seek to continue their dominance over the Oakland Athletics when the contending clubs in the American League West open a three-game series on Tuesday night. Lance McCullers, already 2-0 against the A's this season, and Daniel Mengden, a Houston native who has struggled in his career against the Astros, are scheduled to get the call in the series curtain-raiser. The Astros have won five of six from the A's this season, including two of three when the teams met in Oakland in May. McCullers and Mengden went head-to-head in Houston in April, with the Astros rolling to an 11-0 victory. McCullers (7-3, 3.94) also pitched well, albeit without as much offensive support, when he beat the A's 4-2 in Oakland in May. The right-hander is 3-1 with a 3.66 ERA in six career starts against the A's, although he hasn't been nearly as good in Oakland (1-0, 6.75) as he's been against the A's at home. The Astros have opened a 10-game trip with four straight wins over Texas, with Saturday's 4-3 triumph moving them into a first-place tie with Seattle and Sunday's 8-7 victory helping them temporarily remain there. A trip to Oakland provides a homecoming of sorts for Astros catcher Max Stassi, a Northern California native who took advantage of an injury to starter Brian McCann last month to carve out more of a regular role with the club. He went 4-for-9 with two doubles on Houston's last trip to Oakland, and Saturday registered one of his personal highlights with a 466-foot home run, the longest of his career, against Texas. "You catch a winner and get a hit, as a catcher, you feel pretty good about your night," noted Astros manager A.J. Hinch, himself a former catcher. "You catch a winner and hit a homer, you feel that much better." 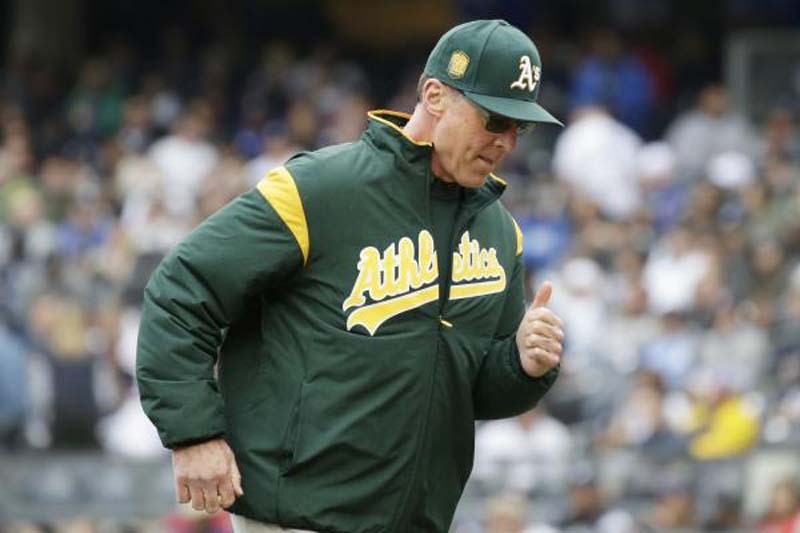 The A's, meanwhile, opened a 10-game homestand by taking three of four from Kansas City. They stand fourth in the West but get a chance to improve their standing in the next six games, when they will be playing the Astros and Los Angeles Angels, two teams currently ahead of them. Mengden (6-5, 3.45) is scheduled twice during those six games. He's won four of his last five starts since the last time he saw the Astros. Mengden has never beaten the Astros in his career, going 0-4 with a 6.23 ERA in six starts. The A's used Monday's day off to get closer Blake Treinen a break. He went the final 1 2/3 innings for the save in Sunday's 3-2 win over Kansas City, the major-league-leading sixth time he's recorded saves of more than one inning. "Chapman made a great swing," Treinen observed, "but that swing doesn't get us the win if Marcus doesn't make that play."